Career in shipping is perfect for the individuals who are fascinated by the sea, love traveling in foreign ports and want to experience different cultures. Shipping and Maritime are the two terms inter-connected to each other. Let us discuss about maritime and shipping separately. Maritime is connected with the sea in relation to navigation, shipping or trading activities done by the sea. Generally, Shipping is the transport of goods by sea or some other means. It includes the transport of goods as well as people from one place to another. Due to increase in international trade, demand of shipping is expanded tremendously. Shipping plays a very important role in the growth and development of country. Shipping & Maritime play an important role in international trade & commerce. Almost 90% trade is done through sea route which increase the need of the professionals in this area. There is a vast scope in the Shipping & Maritime profession. All courses under this field is very much demanding and in trend. You can make your career in this field if you are interested in travelling world tour & want to gain knowledge of various places and cultures. 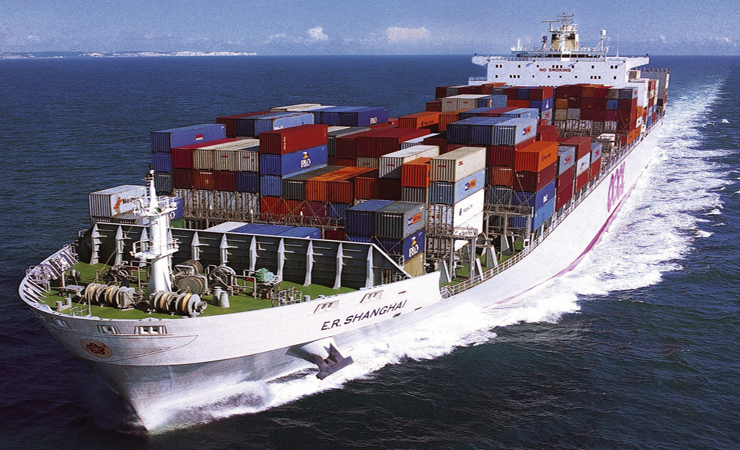 There is a wide range of scope in logistics and shipping. After completing your degree, you can join government/ private shipping companies and various port agencies in India or in abroad. Shipping industries are one of the best sectors to make your career. Marine engineers can also join the merchant navy. In order to pursue courses in the field of shipping and maritime, candidates are required to appear the entrance test. Admission to the management course in shipping will be done through MAT 2019/CAT 2019/XAT 2019/ATMA 2019 entrance examination. To pursue engineering courses in maritime, you are required to appear the JEE Main 2019 for undergraduate courses and GATE 2019 (Graduate Aptitude Test in Engineering) for admission to the postgraduate courses. You can also apply for IMU CET 2019 (Indian Maritime University Common Entrance Test). Exciting career paths are offered in the field of Shipping & Maritime. There are enormous job opportunities for the candidates who have completed the basic course in this field. The need of skilled professionals has been increased due to the increasing importance of international trade. Job opportunities exists in private and government shipping companies like Shipping Corporation of India del credere agents etc. One can also join merchant navy after the completion of aforementioned diploma and degree courses. Deck officer is one of the excellent post in merchant navy. Shipping industry plays a vital role in international trade and due to this it offers interesting and diverse career opportunities. You can work in the shipping and navy departments. The shipping & maritime industry offers an excellent opportunity to the youngsters who wish to carve & achieve a self-disciplined, motivated & an adventurous career. Individuals working in this field gets the rewarding pay with many other benefits. Salary in this field is extremely high. Remuneration will depends upon the post you are holding or from which course you are belong to. Deck officers receive excellent salary package. In Indian ships, deck cadet can earn 20,000-30,000 per month and around 50,000-60,000 in foreign ships. A deck officer will receive upto Rs 1,50,000 per month. The figures of your salary varies in abroad. In abroad, you will get the salary of around 85000$ per annum. Anyone can gain lucrative job opportunities and best salary after doing shipping & maritime courses. For more information about Career in Shipping & Maritime, leave your comments below. Fire and safety diploma have any vacancies in ship. I very much like this field please give me a answer. I am a student of 12(science) I am very much interested in this feild. Kindly show me a way towards my goal.I want a promising career. What is scope for girls ? where and where can i work? how can i get a good job and what salary range in USD $. Actually I’m a graduate in commerce. Will I be able to do diploma in nautical science now ? I am B.sc physics graduate .what will be my best option in this field and the say about institution. I’m a bcom graduate and i am girl so can you please let me know whether shipping field is safe for girls? Which are the courses i can go for? Currently i am working as a back Office executive in classnk shipping company! Will appreciate your kind advice! sir,actually m very much interested in merchant navy .now m going to pass my 12board so after that how can i proceed to my goal.And after how many year m able to get a job .please help !!! Sir I am a commerce student.I have done my 12th this year .Can I take admission in shipping and maritime course? Sir,I have completed diploma in mechanical engineering so can I join merchant navy..
Iam completed mba in shipping and logistics..in shipping field where i have to start. sir i have completed my bcom. can i join shiping , sir how i can join this and what things are needed fot this ? Sir, I have completed my BA in English.am I eligible for any other course to do in marine ? Please suggest me. Sir.. I’m passed degree bcom.. I would like ship course and I want complet details about the course..
Sir I completed MBA marketing and HR is I’m eligible for the PG programmes. Sir im a hsc holder with commerce background, please suggest me the cource which will lead me to deck officer. I am completed my BE MECH and i want to join in merchant navy with GME cource….so which is the best college in india and i want name of college into mumbai also. I am finished my plus two in biology science can I get a job in this field? Sir, I am a fresher in mechanical engineering.May I know how could I get a job in ships and is there any new course I had to do to get a job easierly. What is the job for a candidate who do diploma in nautical science and what is the type of work in that job? Please mention the salery package too. #AshishMallah .you can apply the form of cet imu (common enterence test) in april/may. im student of twelth commerce can i join maraine plz hlp me im the student of march 2017 plz hlp me …..
Pls am an Engineering student i want to do four courses in maritime academy that will enable me work in the ship.the courses are motor man,safety precaution,oil tank familiarization etc.and hw much will each of the course cost me? how much marks should be needed in jee main to get admsn in Indian navy officer ?? is their any reservation for st cast students ? hw much salary for this?